51 percent of all large U.S. cities (population > 250,000) limit mayoral terms. Since the Metro voters approved eight-year term limits on the Metro Council in 1994, politicians on three separate occasions have placed on the ballot the weakening or abolishing of eight-year term limits and each time the voters told them no. They’re back again in 2016. Councilwoman Emily Evans in 2014 tried to lengthen the Metro Council’s terms by petition, but failed to collect enough valid signatures to put it on the ballot. This time she’s joined by Councilman Ronnie Steine who is pushing for a charter amendment within the council. 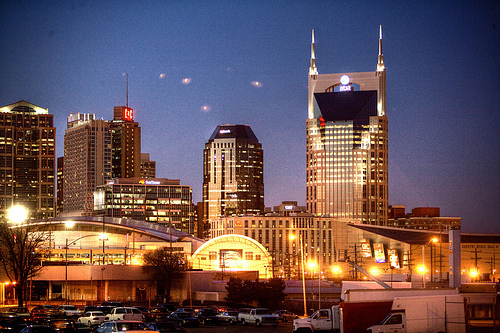 There is no clamor from Nashville voters for this move. Meanwhile elsewhere in Tennessee, voters continue to establish new 8-year term limits like in Crossville where an overwhelming 79% of voters enacted term limits on their city council and mayor. In 2012, Knox County voters defended their 8-year term limits with 86 percent. Submit a letter to the editor of the Tennessean (Click Here) or the paper of your choice in favor of Nashville’s current 8-year limits. Palm Beach Gardens voters passed term limits in a landslide. In November 2014, Palm Beach Gardens voters went to the polls to send a decisive message: “it’s time for term limits!” With historic turnout, nearly 80 percent of Gardens voters said “yes” to enacting a two-term, six-year limit on members of the City Council. In a separate ballot question, 68 percent of voters said the new limits should apply retroactively to current Council members. This was a big deal. Not only did voters want to implement fresh faces and perspectives on the Council; they wanted those changes to take place as soon as possible. But, as is true with most politicians and term limits, members of the Council won’t go down without the fight. Only six months after the term limits were passed into law — and before they’ve even been implemented – the Mayor and other members of the Council are already scheming to repeal the people’s new law. It’s a brazen move that, if anything, only proves voters 100 percent correct for not trusting Gardens’ politicians. Even Joe Russo, the most tenured member of the Council, has called this attack “a slap in the voters face” and asked his colleagues how citizens could ever have faith in leaders who ignore them. Send an email to the council members asking them to respect the vote. You can thank Council Member Joe Russo for publicly declaring he intends to defend the people’s will. See http://www.pbgfl.com/content/72/82/2214/default.aspx for email addresses. Print out this palm flyer and distribute it at a City Council meeting, or around the city, to build opposition to the politicians’ anti-term limits scheme. Write a letter to the editor of the Palm Beach Post expressing your support for the current term limits at Letters@PBPost.Com. The maximum length on a letter is 200 words. Click HERE for tips on writing a great letter. Thank you for your support of term limits in Palm Beach Gardens! The group OKC Term Limits Now, led by activist Bob Dani, is collecting signatures to put eight year (two term) Mayoral and City Council term limits up for a vote on the November 2014 citywide ballot. USTL President Philip Blumel delivered a term limits speech in Oklahoma City on January 18th, 2014. Watch it HERE. In order to reach the 6,000 signatures necessary for ballot access, the group is going to need your help. What you can do: To sign the petition, gather signatures or make a donation to the effort, click HERE. Be sure to like the OKC Term Limits Now facebook page as well.